With some Canadian pot stocks posting triple-digit return rates this year, many retail investors have looked north to pour cash into cannabis. But individual investors should consider keeping their capital in American companies, according to at least one investor. 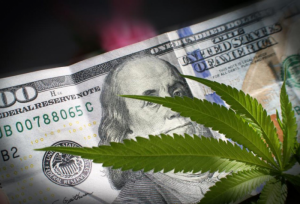 U.S. cannabis companies are worth a lot more than their current valuations suggest since federal illegality has put undue pressure on the industry, said David Wenger, a New York attorney and senior editor of the Cannabis Law Digest. But given current social and state-wide legislative action, cannabis’s illicit status in the U.S. isn’t going to last much longer — creating a huge earning potential for investors who get in now, Wenger said. n the United States, the legal cannabis market is expected to reach $11 billion in consumer spending in 2018, according to a report from Arcview Market Research and BDS Analytics. That figure will reach $23.4 billion in 2022, ballooning at a 22% compound annual growth rate over that five-year forecast period, the researchers wrote. Marijuana’s classification as a Schedule I narcotic — the most restrictive class of controlled substances, on par with LSD and ecstasy — has created a cascade of social and regulatory factors weighing on the domestic industry. But these burdens will immediately lift when — not “if,” Wenger believes — weed becomes legal. Since marijuana is still federally illicit, major U.S. stock exchanges have shunned American plant-touching cannabis companies from listing, while allowing Canadian companies including Canopy Growth Corporation (CGC) and Tilray (TLRY) to make their initial public offerings. A handful of American weed companies have taken steps to tap into the public equity market despite being orphaned by major US stock exchanges. California-based MedMen (MMNFF), currently traded on the OTC market in the U.S., has a market capitalization of around $3 billion. New York-based Acreage Holdings announced its intention to go public via a reverse takeover with Ontario’s Applied Inventions Management Corporation on the Canadian Securities Exchange by November. Acreage Holdings said earlier this year it raised $119 million in what it called the largest funding round for an American cannabis company to date. Since many institutional investors are sticking to the sidelines for now, there’s room for individual investors to claim a larger-than-usual piece of the pie in the budding industry, Wenger said. Investors can get in “even with fewer than $100,000 in kinds of deals that would never be open” in most cases for growing companies, whose attention would typically shift to institutional investors capable of writing larger checks. Plant-touching cannabis companies also face steep tax rates due to the product’s federally illegal status. Even cannabis companies operating in states such as Colorado or California where the goods are licit have to report their income as illegal at the federal level, triggering a set of profit-denting tax rules. Federal legality will lift the tax burden, instantly improving profits and margins, Wenger said. Wenger bases his bullishness in large part on pot’s improved public perception. A Pew study earlier this month found that 62% of Americans say that marijuana use should be legalized, or double the percentage from 2000. Thirty-one states and Washington, D.C. allow medical marijuana, with nine states and D.C. allowing for recreational use. And Americans are already consuming the substance by the truckload, with New York City residents alone taking in 77.44 metric tons per year. Explosive existing demand makes cannabis unlike many other up-and-coming industries, where companies often have to define a new product to customers, said John Kagia, an analyst for cannabis research firm New Frontier Data. Aside from its obvious means of consumption, cannabis is at the precipice of disrupting a number of industries, some analysts believe. Vivien Azer, an analyst with Wall Street firm Cowen, wrote in a recent research note that she sees cannabis expanding into adult use, beauty and nutraceuticals, over-the-counter pain and sleep products and pharmaceuticals.